In recent years, in the course of repair work, many have decided to redevelop their homes. For some, it is an opportunity to rationally use the resulting space or to give the room a more modern look. In any case, regardless of the reasons for redevelopment, this process involves important and at the same time dangerous procedures. It is about the demolition of the walls in the apartment. This is what many resort to, creating a new look of the apartment. Accordingly, the demolition of the wall in the apartment, it is quite scrupulous. Redevelopment of the apartment! 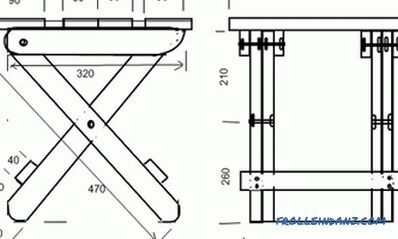 What is needed for this? Obtaining the relevant documents and permits. At first glance, everything is quite simple and consistent. Moreover, the principle is known to many, to break not to build. But as for the demolition of bearing walls or partitions, the whole thing is different. The demolition of the walls is very exhausting and heavy. 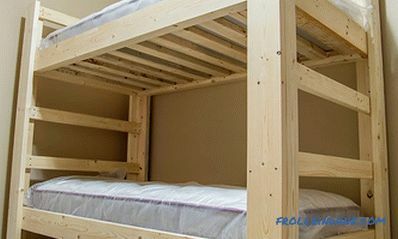 Before you start work, you need to think about what will be the project of the future apartment. In the process of planning, consider whether it is possible to demolish this or that wall! Not every wall can be demolished. 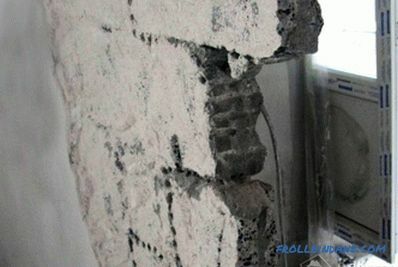 In each case, the wall demolition technique will be different, but not much. 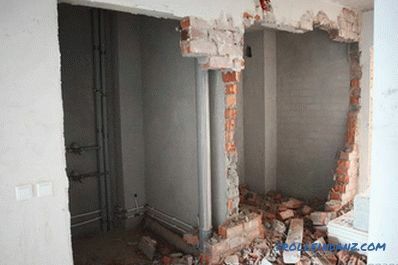 When demolishing a wooden wall, you will need to apply less time and effort than when demolishing a concrete partition. If you do not know which wall can be demolished and which one can not be demolished, then seek guidance from the professionals. 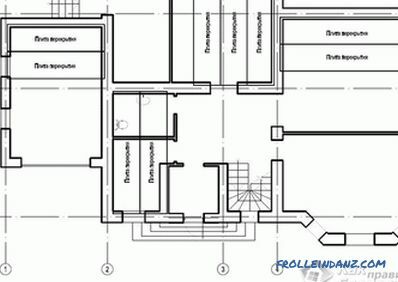 They will make a detailed project of your apartment and point out exactly the partitions that are allowed for demolition. 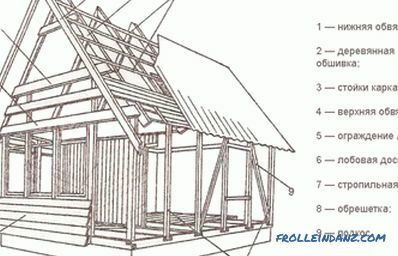 From this list it follows that for wooden walls it will be enough chainsaws or simple handsaws, but for concrete you need a more serious tool. For example, inside a concrete wall there is usually a binder such as reinforcement. 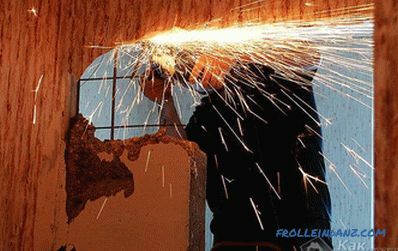 In the process of dismantling the walls, it will need to be cut by a grinder. As you can see, during the demolition of the walls you may need not one, but several construction tools at once. 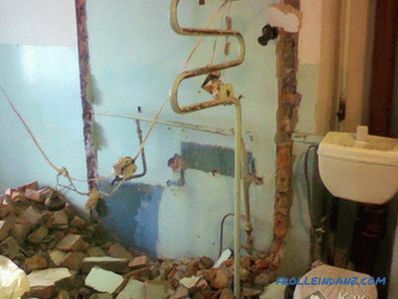 When everything is ready, and you have decided on the choice of tool, you can proceed to the long-awaited changes - the demolition of the walls! The wall demolition process should always start from the top down to the top hit you on the head. 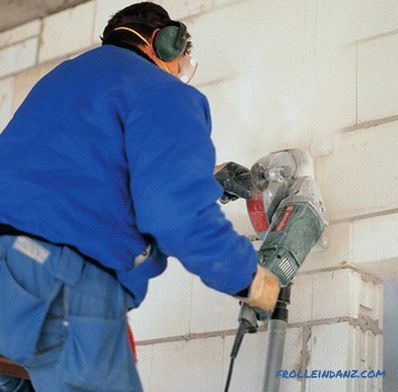 To begin with, it is necessary to remove the finishing material from the wall, it can be plaster, drywall, etc. As for the plasterboard walls, the frame that was the basis for the drywall should also be removed. If the wall is brick, then one brick is knocked out from above, and so on. If there is a door in the brick partition to be demolished, then the wall should be demolished from it. During the dismantling process, there may be a temptation to save material who understands, for example, brick. But this should not be done. Why? The thing is that this material has lain under different loads for more than a dozen years. Accordingly, this led to the fact that he no longer will have sufficient strength and quality. 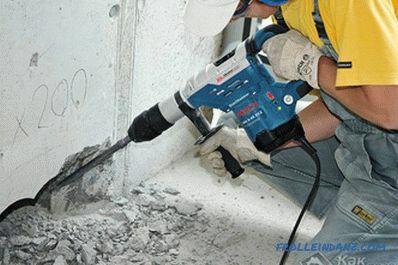 If you have concrete partitions, you have to work with a grinder, a bump stop and even a puncher.With the help of a puncher and grinders in the wall you can make consecutive strokes. This is necessary in order to immediately divide the wall into several pieces. The grinder you can cut through the armature, passing in the body of the wall. With the help of the bump stop, you can speed up the work process, since its impact force far exceeds the force of the perforator. 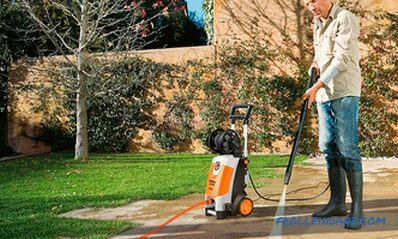 Sometimes we have to deal with high-strength concrete, which cannot be managed by a bump stop, a grinder and a rotary hammer. What to do in such cases? In such a situation, you will need the help of a specialist who will remove the wall into small pieces with diamond equipment. Even though you may want to demolish the walls with a diamond equipment yourself, but do not take the risk, and entrust the work to professionals. 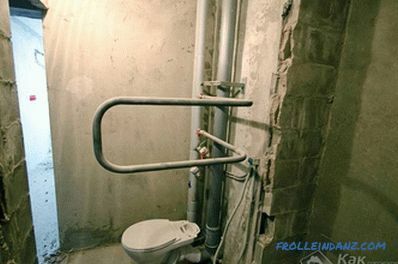 In most cases, redevelopment is carried out in the toilet, bathroom and kitchen. Although there are cases, but rarely, when redevelopment occurs in residential areas. Demolishing the walls and installing new ones makes it possible to redistribute work areas and recreation areas in your apartment. You can save space. 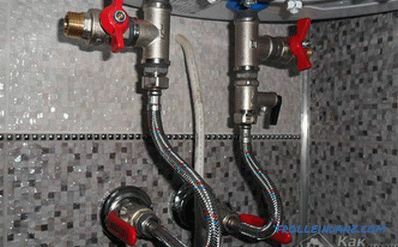 For example, a bathroom will be combined with a bathroom, so one room will perform several functional tasks at once. But, despite all this, to solve the problem of lack of living space in this way will not succeed. After all, if the apartment has forty square meters, it will no longer become after the demolition and installation of new walls. So, as you can see, redevelopment is directly related to the demolition of walls and their movement. In some cases, you can use the services of designers who will tell you how you can perform these works most effectively. Do not rush to demolish the walls. You can always break at any time. First of all, carefully plan and calculate all your expenses in order to complete the repair. If you do decide to make such drastic changes, then you should carefully prepare. For example, think where and how you will dispose of all construction waste. Remember that it is impossible to throw garbage into containers, you will have to hire a car. 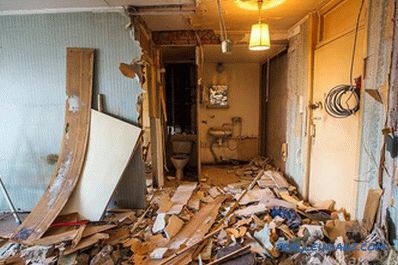 We hope that this article will help you to cope with such hard work as the demolition of walls and partitions in your apartment. If you already have this experience, then write to us in the comments to the article.